At Know Thy Place we specialise in producing an archaeological wall chart of your townland or town so you can learn about the archaeology of your ancestral home. It also serves as a guide to help you find the monuments of the area, if (and hopefully when!) you get the opportunity to visit it. For those people lucky enough to know the very house their ancestors lived in we can take this work a step further, producing plans and elevations of the building on request, and highlighting its main features. As professional archaeologists we have often encountered homesteads, often now in a semi-ruinous state, which prompted questions in our minds about the people who once lived there. One particular house which we recently worked on stands out from the crowd, however. A chance encounter transformed what was a routine archaeological building recording job into a much more rewarding experience, and reinforced the fact that ruinous houses are not the domain of feral animals and overgrowth, but the past focus of vibrant communities and a physical reminder of the humanity which is integral in all archaeological sites. 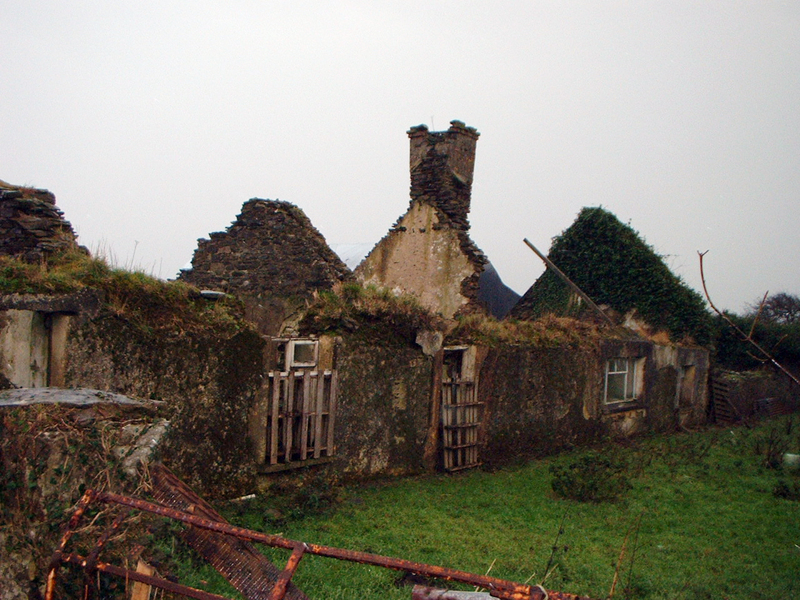 As part of a research project in the townland of Ballyshane, near Inch, in east County Cork, we were commissioned to carry out an historic building survey of a ruinous complex of 19th century farm buildings. The complex consisted of a single storey rectangular structure typical of the vernacular architecture of rural Ireland in the 19th century. The building was constructed of stone walls and had a thatch roof, and was subdivided into four bays or rooms. An adjoining range of byres were also located on the south end of the range which would have held animals. The building was constructed before the 1840s as it is depicted on the first edition of the Ordnance Survey map which was surveyed in 1841. The building showed signs of significant modifications through the 19th and 20th century, and new windows were introduced as per changing trends in architecture in the early 20th century. 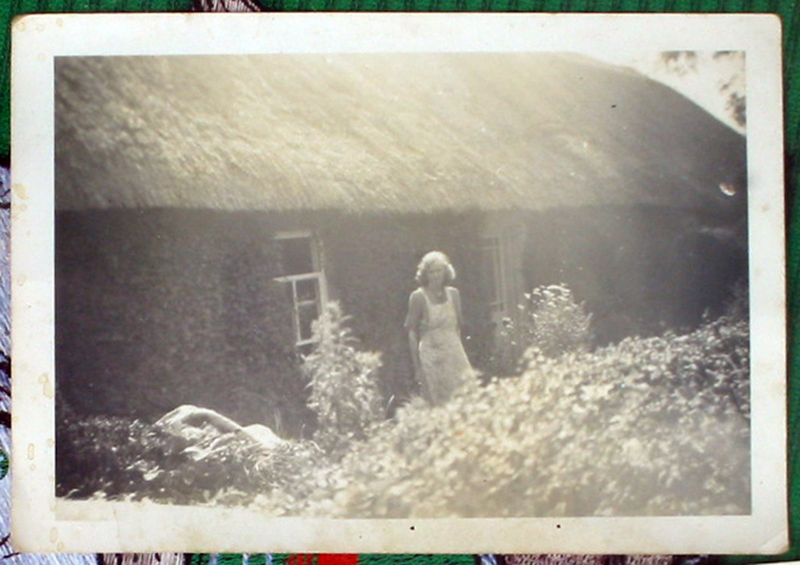 The thatched roof was also covered with corrugated iron which was again typical of the 19th century. The survey produced an accurate, technical drawing of the building both in plan and elevation which as was required by our brief. Then, as we were packing up the equipment to leave the site, we bumped into an elderly gentleman on the road, in what turned out to be an extremely fortuitous encounter. He asked us what we were doing, so we filled him in on the work we were carrying out. Amazingly, he revealed to us that he had been born and lived in the house when it was still in use. Here was a living connection to the history and archaeology of the building, a man who did not see the house as a ruinous and dilapidated structure- he saw it as the home of his youth, filled with the memories and sense of place that such a connection imparts. The man started to tell us about the house from his childhood memories. He told us that animals were kept at one end, while his family lived cheek by jowl with the stock in the other. Apparently the fire was always lighting, the kettle was always on and visitors were always welcome. 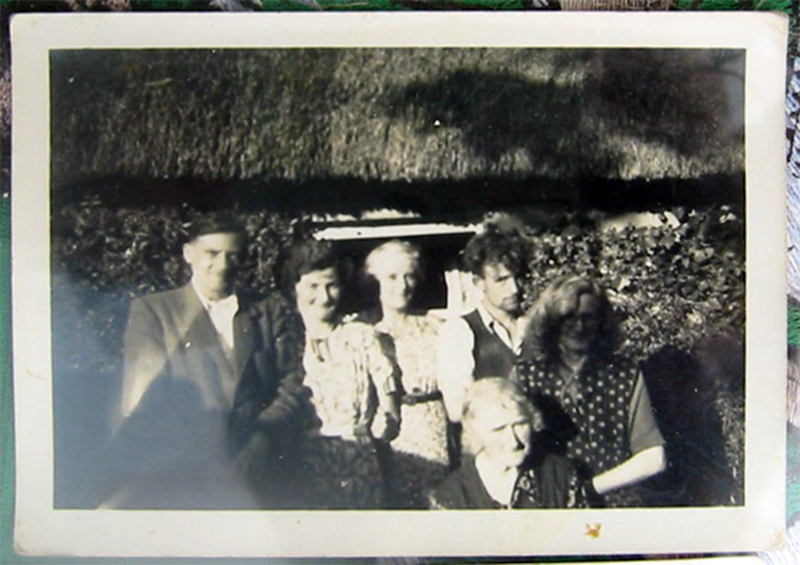 He then produced two family photographs of the last occupants of the house standing outside it on a fine summer’s day. He went on to tell us his story of the townland back in the not too distant past. It was a busy landscape filled with animals and populated by local ‘characters’ working the fields. The black and white technical drawings which we had produced as a requirement for planning suddenly became coloured with the memories of a former resident. We left the job with a renewed interest in this archaeology of place. Archaeology is not just about recording derelict buildings and grassy earthworks. It is about understanding the past through study and research of past landscapes and communities, and reconstructing the past through the clues left by our ancestors; it is about putting people back into the place. 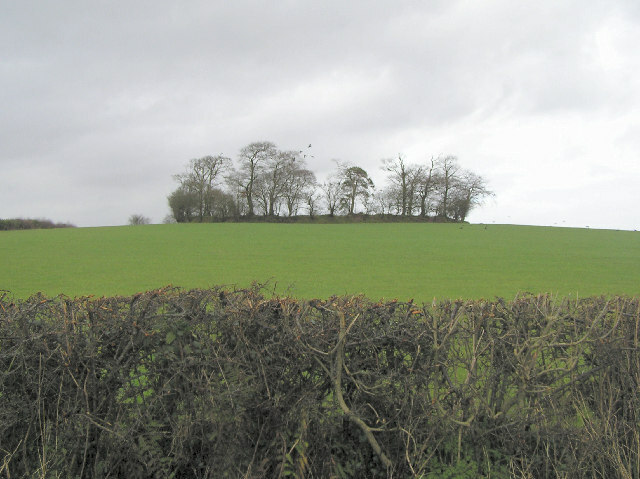 Barrows appear in the Irish landscape as low circular mounds. These are sometimes referred to as tumuli but the term barrow is dominant in modern usage. Barrows are burial mounds and can hold single or multiple burials, or in some instances act as a focus for cemeteries. Excavated examples date from the late Neolithic to the Iron Age although they are more numerous in the Bronze Age. In general they measure between 10m and 25m in diameter (32ft to 82ft) but larger and smaller examples have been identified. Construction usually involved excavating a circular ditch, normally with an entrance, around a central burial or group of burials. Cremation was the normal form of burial rite although inhumation was also practiced. In some cases burials were placed in simple earth cut graves while elsewhere a stone box, or cist, was constructed to entomb the burial. The up cast from the ditch was piled up in the centre to form the mound. In some instances the ditch can still be detected as an earthwork surrounding this mound. Large numbers of these monuments have been identified in recent years in Ireland in advance of road construction. In most cases they have been ploughed flat over the millennia, with only the ditch and deeper burials surviving. Considering the effort required for their construction it is generally considered that barrows represent the final resting place of the upper echelons of ancient Irish society. 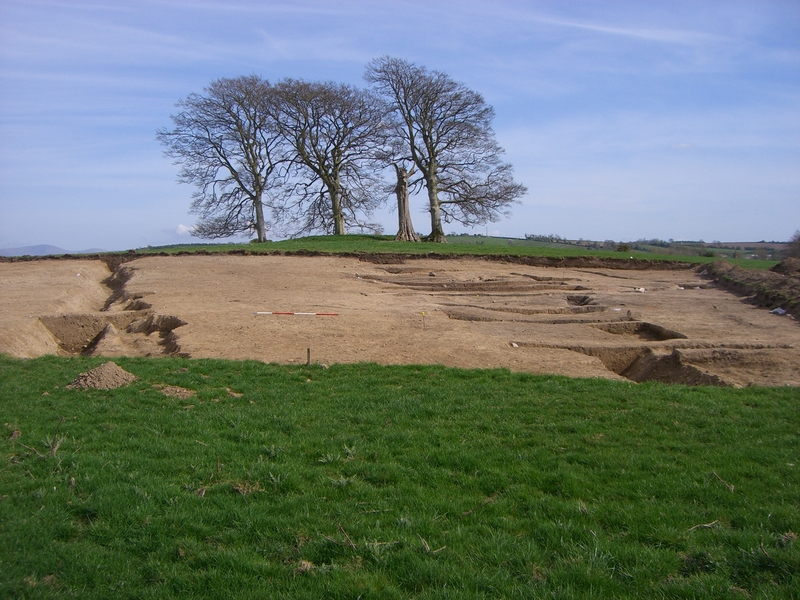 In some instances the inter-relationship between barrows of different sizes and adjacent burials with no covering barrow may reflect the social hierarchy of the interred population. Numerous excavations have recovered evidence for the re-use of these monuments over significant periods, sometimes several centuries, which may indicate that they served as tribal burial grounds. Within this context the sites of barrows may have been used for ritual purposes beyond burial, possibly linked to ancestral memories and rites. 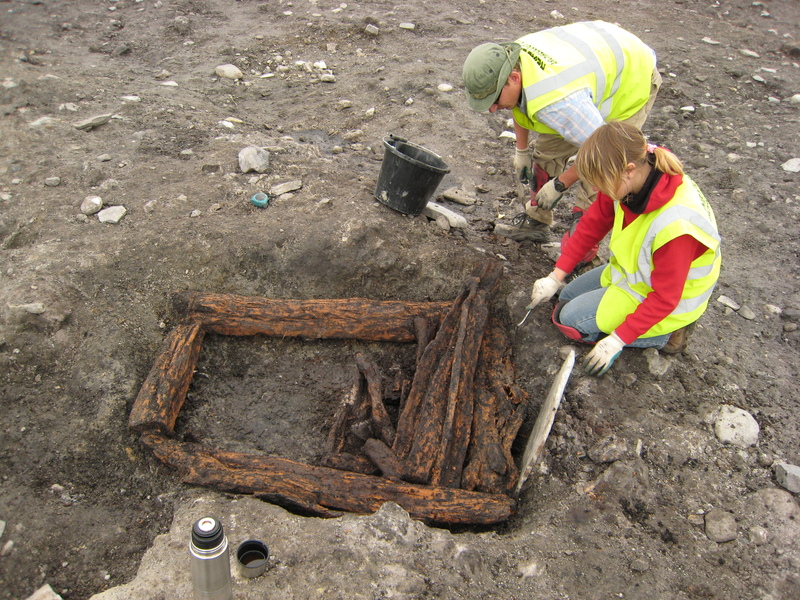 Traditionally fulachtaí fia or burnt mounds have been interpreted as ancient cooking places dating back to the Bronze Age. In reality they are a much more complex monument with examples recorded from as early as the Neolithic and right into the Iron Age. These are the most common prehistoric field monuments in Ireland with thousands coming to light in recent years during archaeological excavations carried out in advance of the national road building programme. An Irish burnt mound usually consists of a low horse-shoe shaped mound of heat shattered stone generally located in boggy ground or adjacent to a stream or river. 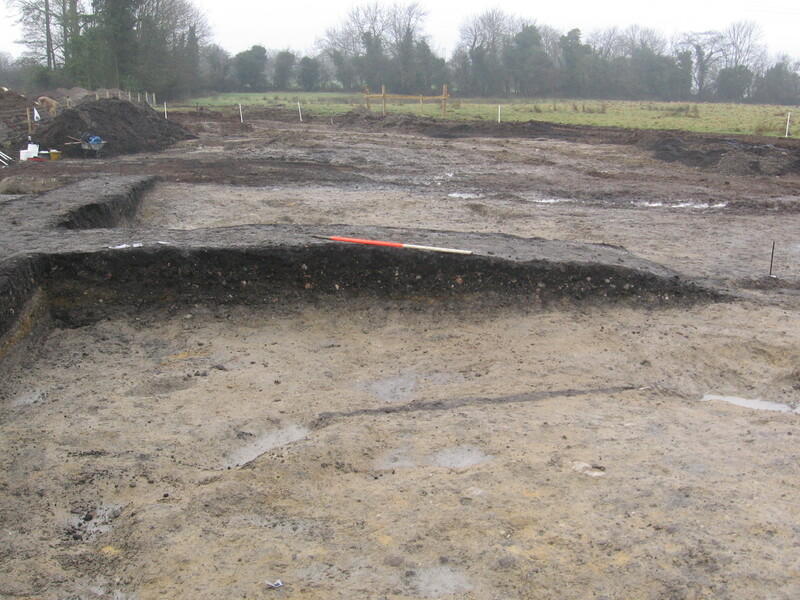 Excavation usually reveals that the mound is associated with a number of troughs or water basins which can be simply dug into the sub-soil or lined with timber planks or stone slabs. Sometimes the foundations of structures are also identified. These monuments had a clear primary function; they served to heat water. The troughs or basins were dug into the ground below the water table which caused them to flood naturally. Stone was gathered in great quantities and heated in fires. The hot stone was added to the water trough(s) causing the water to heat or boil. When the hot stone hit the cooled water it shattered. 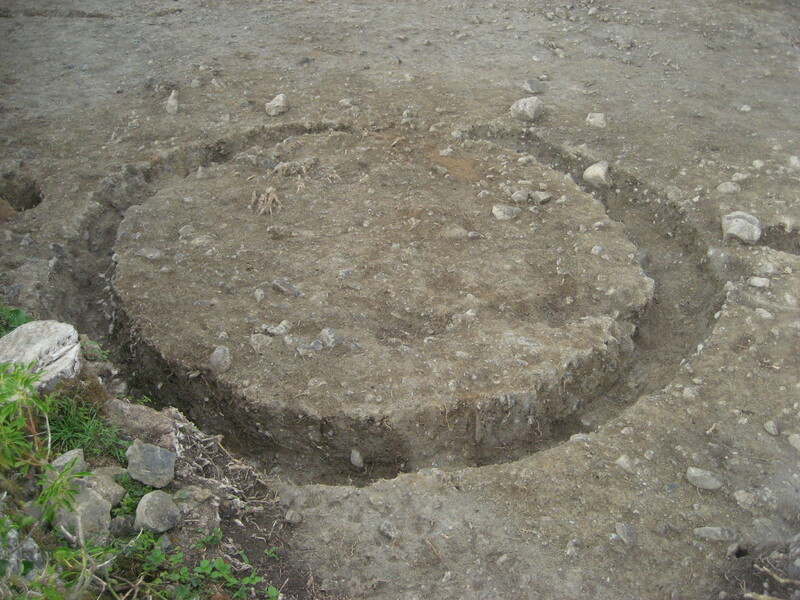 After use the shattered stone was cleared out of the troughs and stockpiled adjacent to the trough, thus resulting in the typical horse shoe shaped mound. 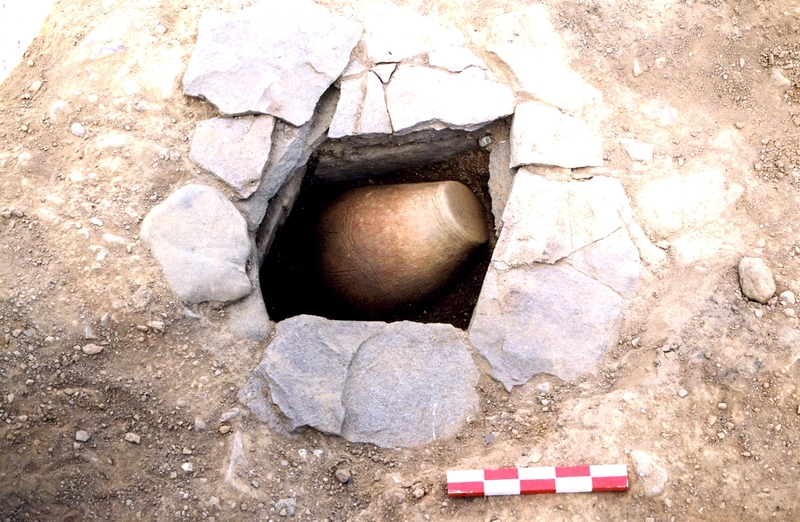 While the primary function is clear (heating water) the purpose to which the hot water was used is the subject of much debate in Irish archaeology. The traditional view of cooking places has been put to the test and it is certainly possible to cook a joint of meat in a trough. 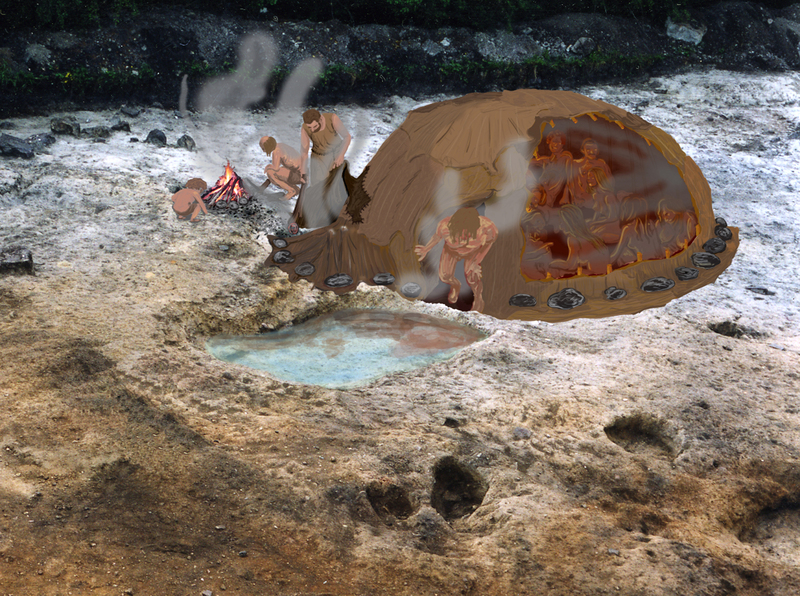 Structures found associated with burnt mounds have also been identified as saunas or sweat-houses. Other plausible interpretations include brewing, dying and tanning but the reality is that burnt mounds or fulachtaí fia provided a means of producing hot or boiled water on an industrial scale. Over the coming months this blog will explore the different types of archaeological monuments that can be found in Thy Place, and explain their archaeology and history. We start the series with the ubiquitous Irish Ringfort, a site found in almost every place on the Island. 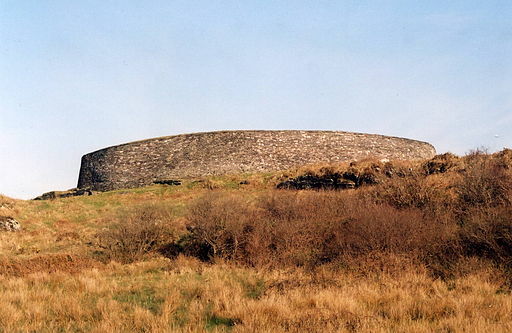 The ringfort is one of the most common Irish field monuments, with estimates on their numbers varying between 30,000 and 40,000 throughout the country. Our current understanding of these structures is that they date to the Early Medieval Period, with a peak in construction between AD 600 and AD 900. They represent the enclosed homesteads (farmhouses if you like) of the upper echelons of Irish Early Medieval society. While the term ‘ringfort’ dominates, other terms are also used such as rath, lios, caiseal and dun – rath and lios are normally used to describe monuments with earthen banks while caiseal (cashel) and dun are more generally used in relation to sites with stone-built enclosures. These names are often fossilised in placenames throughout Ireland today, for example Rathmines in Co. Dublin (the Fort of Maonas) and Lisburn in Co. Antrim (the Fort of the gamblers). The decision on whether they were constructed of earth or stone was often influenced by the local landscape and the most readily available material. In general ringforts, as the name suggests, consisted of a circular space enclosed by one or more banks and ditches. These generally have an internal diameter of between 15m and 35m (50ft to 115ft), but variations to this rule are known. 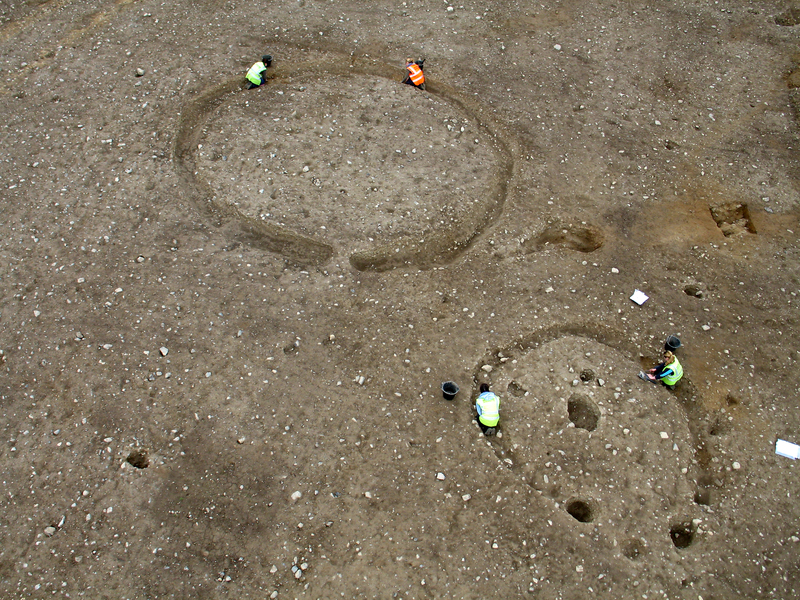 Excavation within some of these structures has revealed that they had multiple functions. Some investigations of the interior have uncovered nothing, which led the excavators to interpret them as cattle enclosures. 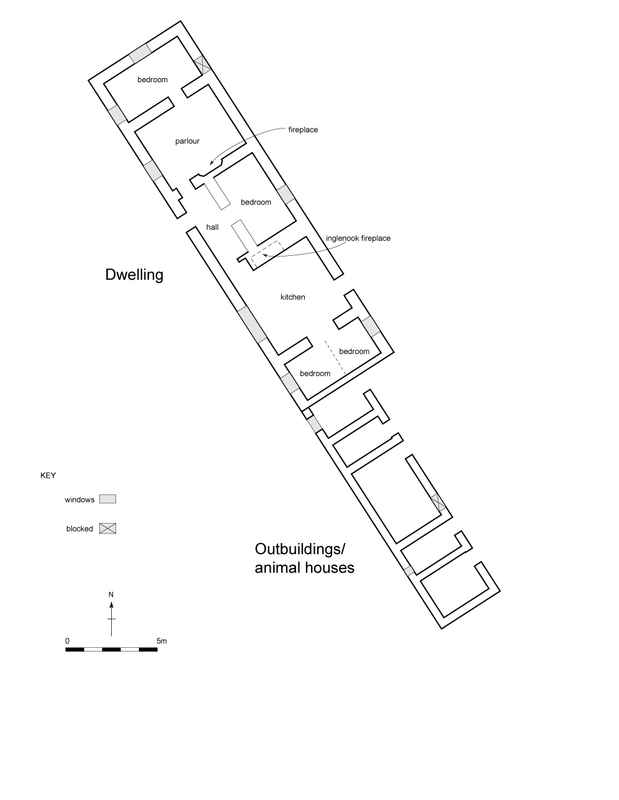 In general however it is believed that they housed an extended family, and the more usual arrangement consists of a large central building, usually circular in plan, with some associated out-buildings nearby. Excavations have also revealed other structures which may have been used for agricultural purposes such as cereal drying kilns, or light industrial activities such as smithing furnaces. The early Irish law tracts set out the size and morphology of enclosures and homes for various classes of people in early Irish society. For instance the bóaire or ‘cow lord’ was entitled to a house of 8.23m, an out-house of 4.57m, a kiln, a barn, a sheep-fold, a calf-fold and pigsty. 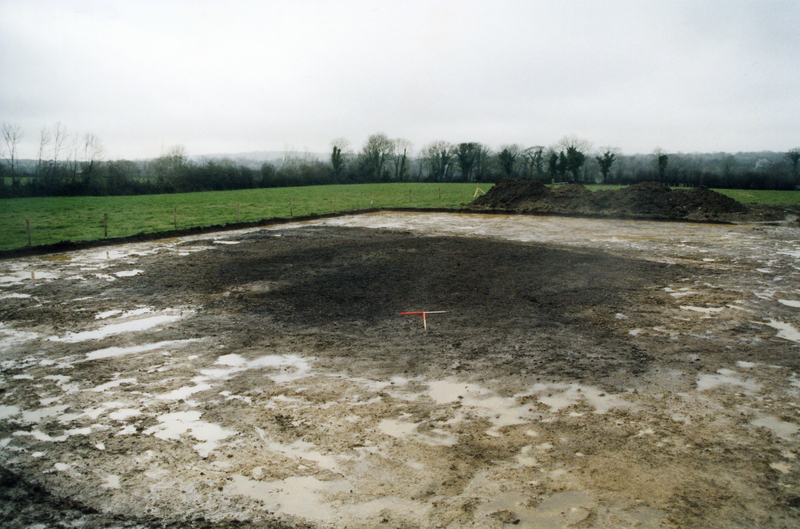 The term ‘Ringfort’ is probably something of a misnomer, as these sites were almost certainly incapable of withstanding any form of determined attack. Although they may have provided refuge from wild animals and fast moving cattle-raiding parties, they were most likely constructed as a show of wealth by the individual in control of the area, a testament to powerful individuals which in many cases has stood the test of over 1,000 years of history.